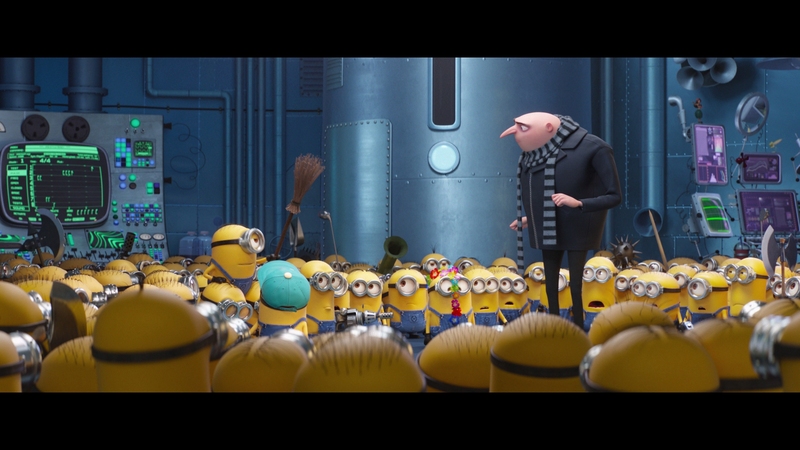 The first Despicable Me released to theaters in 2010. An audience for Illumination’s work skews young, making Despicable Me 3’s bizarre affection for ‘80s nostalgia out of place. Maybe it’s for the adults, those raising kids who endured a generation raised on Minions. 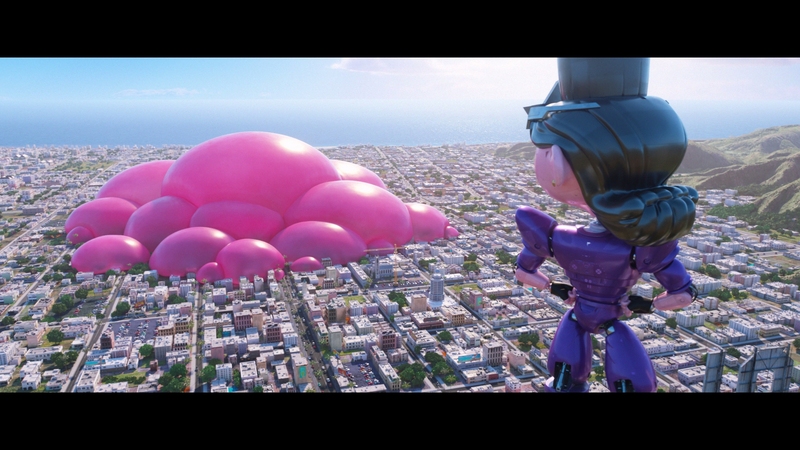 Despicable Me 3’s intro sequence blares Michael Jackson’s “Bad,” a bit of familiar, head-bopping pop to make the yellow bulb’s antics go down easier. 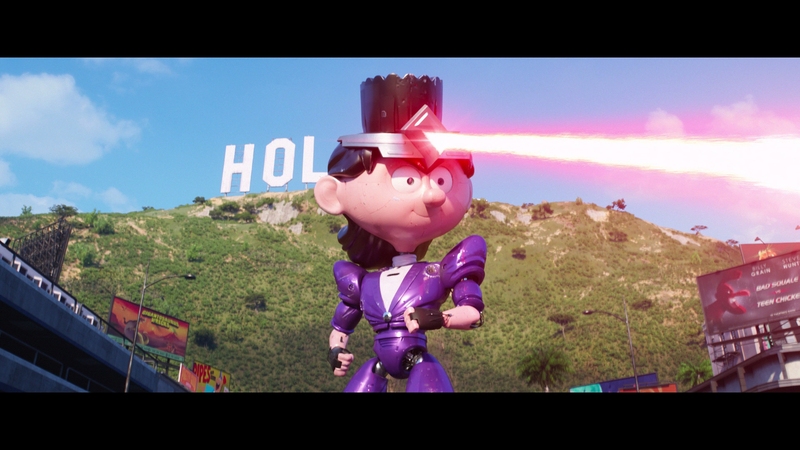 ‘80s pop persists through Despicable Me 3 courtesy of new super villain Balthazar Bratt (Trey Parker). He’s a cast-off from a cornball TV show, a stereotypical lost child star, another bit of Despicable Me 3 likely to whiff with kids. 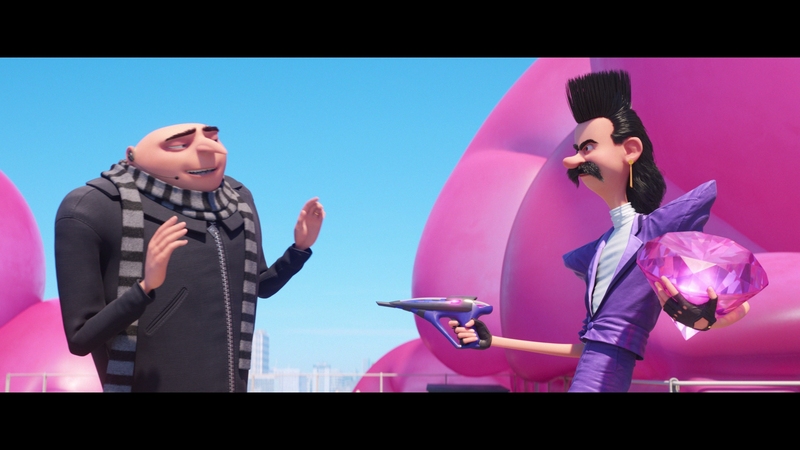 For the hero, Gru (Steve Carell), he’s out to meet a long lost twin brother, Dru (also Carell). If a failed child star is an unforgivable trope, the lost brother is worse still. Despicable Me 3 doesn’t do much with this discovery either. Dru’s lavish homestead and financial success doesn’t matter much; Dru and Gru hit it off from the outset, leaving any potential plot devices behind. Like Ice Age, Despicable Me finds itself catering to something other than the viewers – stockholders. Scrat began to dominate Ice Age. Minions run afoul of Despicable Me, even after being given their standalone feature. 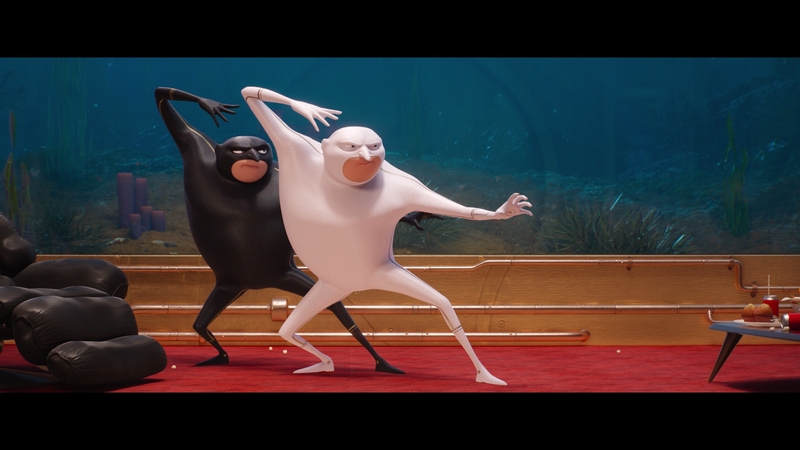 There’s minimal story to tell in Despicable Me 3 (it’s barely 80-minutes as it is), so a bunch of side skits fill in empty space. 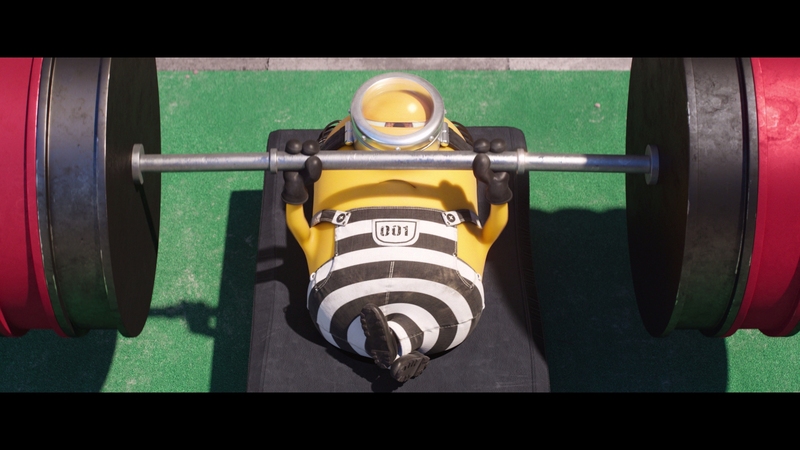 Minions go to the jail, seemingly enough comic material for another feature, but here it’s a quick montage or two before contrivances bring them back to Gru. 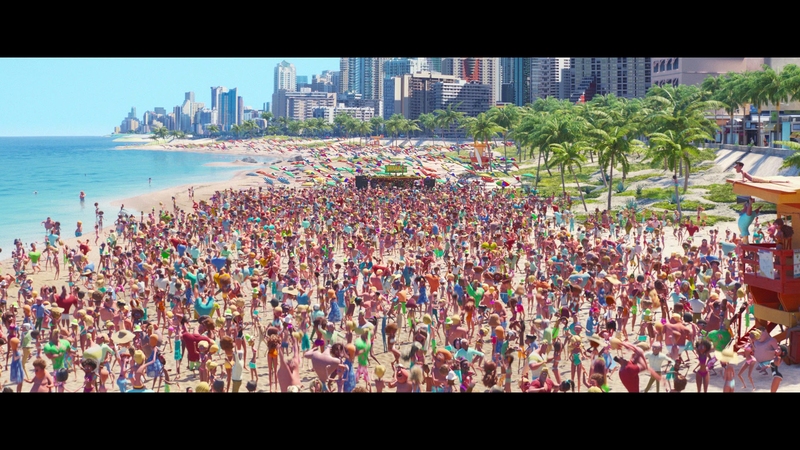 Despicable Me 3 is an utterly empty piece of pop cinema. That’s the biggest offense. Kids don’t learn anything, parents don’t gain anything, and the whole thing exists to churn merchandise. Most of that merchandise consists of fart guns. 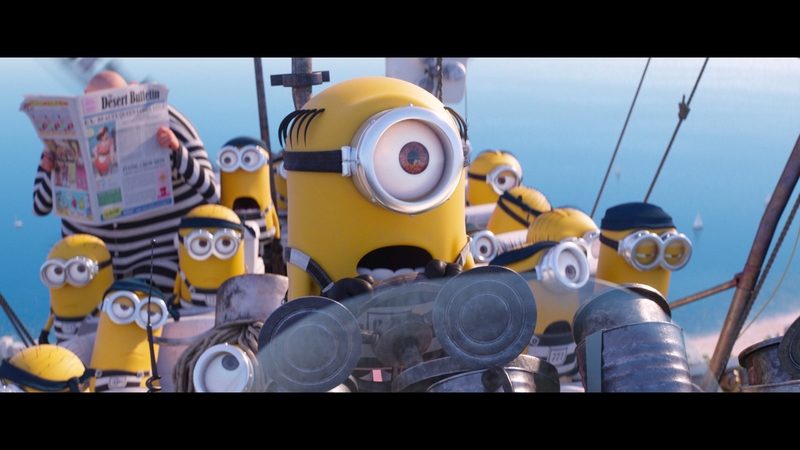 At its worst, Despicable Me 3 playfully mocks prison culture, giving it the appearance of something fluffy and enjoyable. This in the same feature where a small girl imagines owning a unicorn; the script gives prison time the same magical mystique. Go to prison, see Minions. A perfect message for kids. Splendid color highlights Illumination’s work. Minion yellow never looks this dense. Even the toylines struggle to match this intensity. A bevy of primaries swirl around the screen, including Lucy’s rich blue dresswear and Dru’s yellow/pink home. Bratt’s ‘80s home uses a slew of pinks and blues to stick with the needed aesthetic, all of those gorgeous too. Likewise, this naturally bright feature offers stellar range. Heavy contrast pours over the image without clipping, reaching an upper echelon just one step below a loss of detail. Black levels double up, offering exquisite shadow definition. Gru’s black jacket maintains texture well into the shadowy recesses. It’s easy to pick up on the scruffy texture. A strange artificial grain sits over the image. 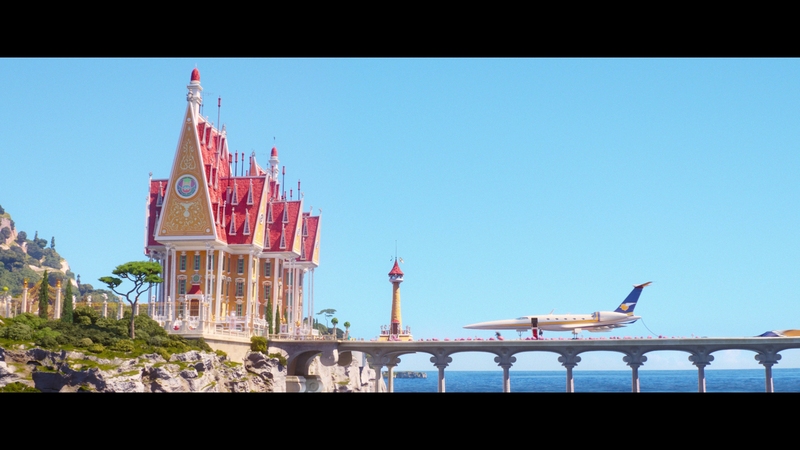 Generally, Despicable Me 3 isn’t challenging this UHD, but at times a spot of noise does intrude. It’s unusual for typically clear CG animated films. The slightest reduction of detail is noticeable as a result, if only for those on larger displays. Otherwise, strong fidelity persists. Gru’s bathrobe and his daughter’s fuzzy pink jacket offer the perfect level of textural clarity. 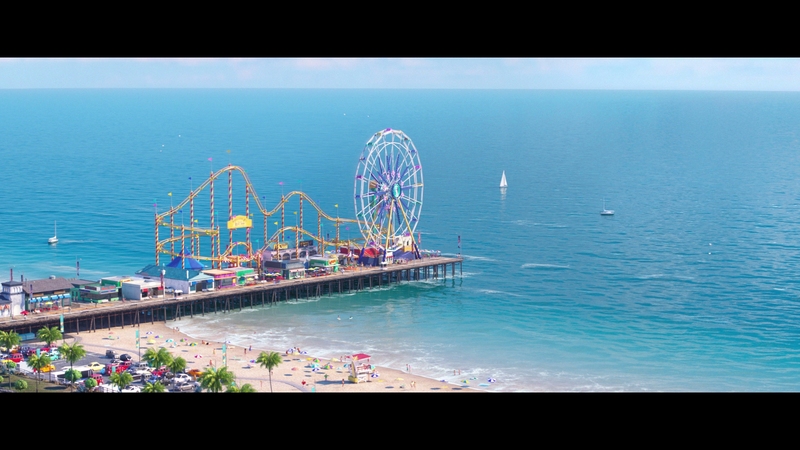 Sharp lines during aerial shots of a virtual Hollywood give the city a stable, solid look. 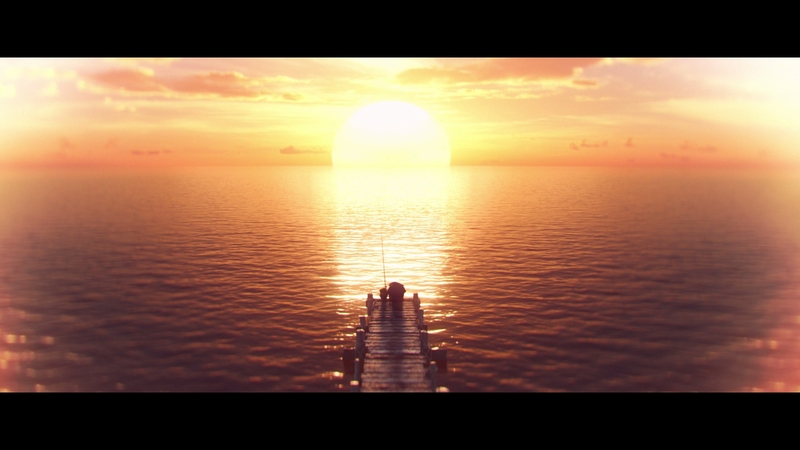 Clean imagery spreads across the Blu-ray version, easily matching up against any CG offering on the format. Detail excels, picking up on small textures like grass or clothing. No aliasing or other problem creeps in. 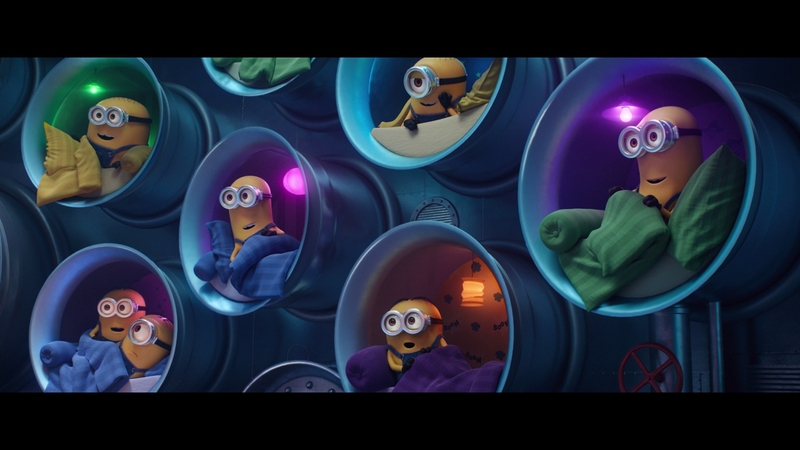 Firm color presents primaries with heft, keeping Despicable Me 3 brightly saturated with plenty of energy. Blues, pinks, yellows, and even light flesh tones accurately render for the full runtime. Strong contrast and dense black levels (with the slightest crush) remain consistent. Universal properly offers DTS:X on both formats. Sadly, this is a mild track, lacking in dynamic range. Despicable Me 3 sounds as if it’s using a filter to minimize the low-end. Until the finale, when a giant robot takes some hearty steps, bass response sounds squelched. Even surround use is limited. 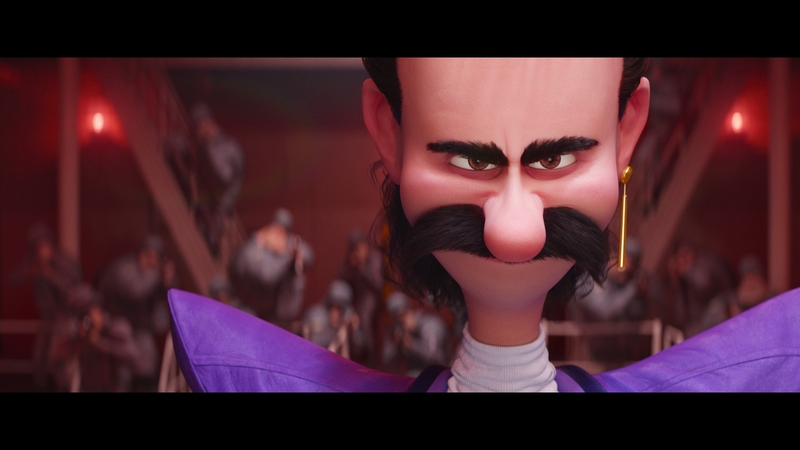 Chase scenes deliver an expected number of front-to-back pans, brisk and natural. The handful of ‘80s pop hits saturate the soundfield convincingly too. Those large scale action scenes barely register though, adequate if lacking in aggressive qualities expected of the visuals. On the UHD, a four-minute short focused on Gru’s dog Kevin is offered. The rest of the extras fill up the Blu-ray. It’s generally missable. One deleted scene and two Minion shorts (less than a minute each) come up first, with five character profiles up next. A selection of “AVL Files” does effectively the same as the latter, so don’t bother. A making of and character profile of Dru earn an EPK stamp. A few complete TV features (seen in the movie itself), some music videos, and a visitor’s guide to “Freedonia” barely warrant mention. Bleh. 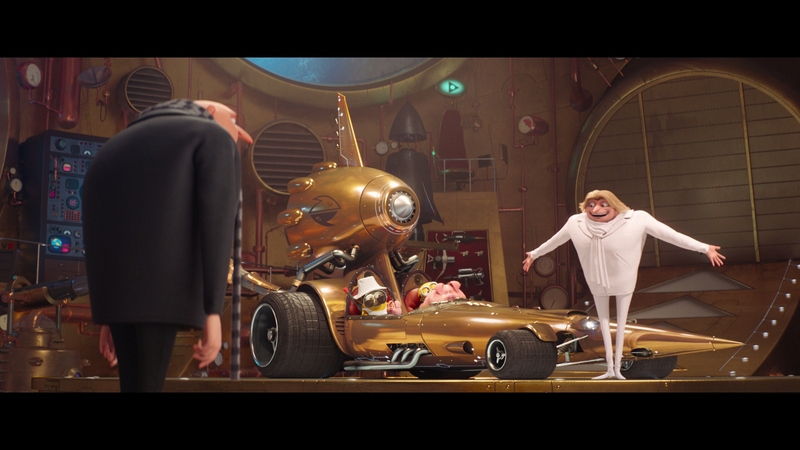 Aimless, short, and empty, Despicable Me 3 leans on the popularity of Minions to save itself – and they’re no saviors. The 15 unaltered images below represent the Blu-ray. 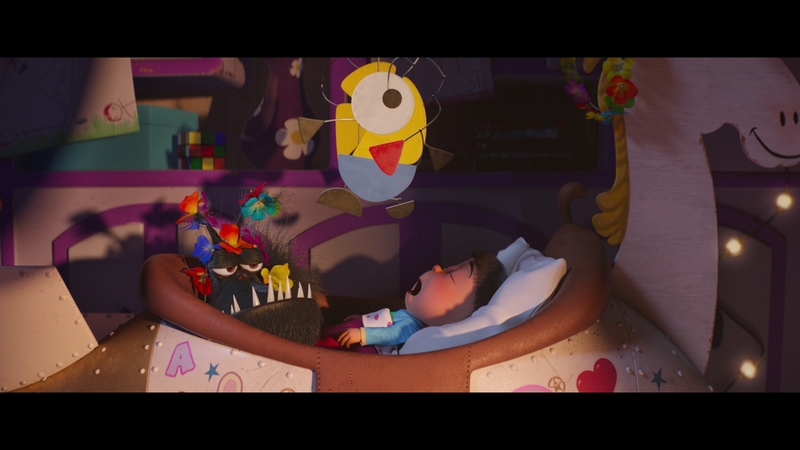 For an additional 15 Despicable Me screenshots, early access to all screens (plus the 8,000+ already in our library), exclusive UHD reviews, and more, support us on Patreon.